Medicare is the federal health insurance program for people age 65 and older, people under age 65 with disabilities and people with End-Stage Renal Disease (ESRD). Medicare covers various medical services, like hospital stays and doctor visits, and supplies like blood glucose test strips. Prescription drug coverage is also available under Medicare. Different services and supplies are covered under different parts of the Medicare program, which are outlined below. Medicare does not cover everything and for many covered services you pay a portion of the cost, unless you have another insurance plan that pays for part or all of the patient cost-sharing. Below is some information regarding Medicare Part A, Part B, Part D, Medicare Advantage and Medigap. For more information, call 1-800-MEDICARE (800-633-4227 ) or visit www.medicare.gov. There are 2 main ways to get Medicare coverage—Original Medicare (Part A and Part B) or a Medicare Advantage Plan (Part C). Medicare Part A (hospital insurance) provides coverage for medically necessary inpatient hospital stays, skilled nursing facilities, hospice care and some home health care. Most people do not have to pay a monthly premium for Medicare Part A because they or a spouse paid Medicare taxes while working. If you do not qualify for premium-free Part A, you may be able to purchase the coverage. Call your local Social Security office, or Social Security's main number at 1-800-772-1213 for more information about buying Medicare Part A coverage. If you aren't eligible for premium-free Part A, and you don't buy it when you're first eligible, you may have to pay a late enrollment penalty. Contact Medicare at 1-800-MEDICARE (800-633-4227 ) for more information. For services you use under Part A, you may be charged a deductible and/or portion of the costs. In 2018, the Part A deductible is $134 per benefit period and depending on the length of your hospital stay you may pay additional coinsurance. More information on Part A costs and covered benefits is available at www.medicare.gov or by calling 1-800-MEDICARE (800-633-4227 ). Medicare Part B (medical insurance) provides coverage for medically necessary doctors' services, outpatient care, durable medical equipment, lab tests, preventive care and some medically necessary services not covered by Part A (including some physical and occupational therapy services and some home health care). Medicare Part B covers blood glucose monitors, blood glucose test strips, lancet devices, lancets, and glucose control solutions for beneficiaries with diabetes, whether or not they use insulin, but the amount covered varies. Beneficiaries with diabetes who use insulin may be able to get up to 300 test strips and 300 lancets every three months. Beneficiaries with diabetes who don't use insulin may be able to get up to 100 test strips and 100 lancets every three months. If your doctor says it is medically necessary, you can get additional quantities of testing supplies. Additional documentation is required. [Note: See information below about the National Mail-Order Program for Diabetes Testing Supplies]. Medicare Part B covers insulin pumps and pump supplies (including the insulin used in the pump) for beneficiaries with diabetes who meet certain requirements. In 2017, Medicare began covering continuous glucose monitors (CGM) that are classified by Medicare as “therapeutic CGMs.” Medicare considers a therapeutic CGM to be one that is approved by the Food and Drug Administration to replace a blood glucose monitor for making diabetes treatment decisions (meaning it can be used to make treatment decisions without the need for a fingerstick blood glucose test to confirm the CGM results). Medicare has specific criteria a beneficiary must meet in order to be eligible for coverage of a therapeutic CGM and associated supplies. Talk to your health care provider to see if you qualify. Some preventive care is covered by Part B, including diagnostic screenings for diabetes and cardiovascular disease, obesity screening and counseling, and glaucoma tests. Starting April 1, 2018, Medicare will cover diabetes prevention program services for certain individuals at risk for diabetes. Medical nutrition therapy and diabetes self-management training are covered benefits for people with diabetes - a certain number of hours of each service are available to people with diabetes on an annual basis. Some beneficiaries may also qualify for coverage of therapeutic shoes. A one-time "Welcome to Medicare" physical exam is covered within the first 12 months of Part B coverage. An "Annual Wellness Visit," which includes the creation (or update) of a personalized prevention plan, is available every 12 months after the first 12 months of Part B coverage or after receiving a Welcome to Medicare physical exam. Medicare enrollees who elect Part B coverage pay a monthly premium. This premium can change from year to year. In 2019, most people have a monthly Part B premium of $135.50, although if your income is above a certain amount you may pay more. The Social Security Administration can verify the exact amount of your monthly premium. You can contact Social Security at 1-800-772-1213 . Additionally, if you enroll in Medicare Part B, you will have to meet a deductible before Medicare will begin to pay its share. In 2019, the Part B deductible is $185. After that, in general Medicare will pay 80 percent of the Medicare-approved cost of your medically necessary supplies and services. For some preventive services, the deductible and/or coinsurance will be waived. More information on Part B costs and benefits is available at www.medicare.gov or by calling 1-800-MEDICARE (800-633-4227 ). You do not have to enroll in Medicare Part B. However, if you decline to enroll when you are first eligible, or if you drop Part B and then get it later, you may have to pay extra for the coverage. Your monthly premium may increase by 10 percent for each 12 month period that you could have had Part B but did not sign up for it. You may have to pay this late enrollment penalty for as long as you have Part B, unless you meet certain conditions. Call 1-800-MEDICARE (800-633-4227 ) for more information. 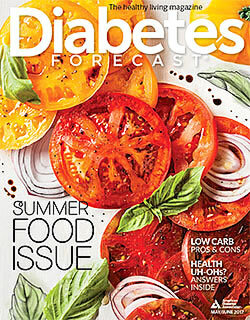 On July 1, 2013, a Medicare National Mail-Order Program for diabetes testing supplies went into effect. This means beneficiaries who want their diabetes testing supplies delivered to their home must use a Medicare national mail-order contract supplier. Beneficiaries also have the option to pick up their testing supplies from a local store (local pharmacies or storefront suppliers) enrolled in Medicare. You can ask your current mail-order contract supplier if they will continue to be part of the Medicare National-Mail Order Program after July 1, 2016. Call 1-800-MEDICARE (800-633-4227 ) or visit www.medicare.gov for more information, including to get a list of national mail-order contract suppliers for diabetes testing supplies. You can also see our page on Medicare's National Mail-Order Program for Diabetes Testing Supplies. Some beneficiaries choose Medicare Advantage plans instead of Medicare Part A and B (the "Original Medicare Plan"). A Medicare Advantage Plan is a type of Medicare health plan offered by a private insurance company that contracts with Medicare to provide you with all your Part A and Part B benefits. Because Medicare Advantage plans are private insurance plans, they come in all shapes and sizes. Out-of-pocket costs vary depending on the plan. Most plans offer prescription drug coverage and plans may offer extra benefits that are not covered under Parts A and B (but you may pay extra for them). Medicare Advantage plans can charge different out-of-pocket costs and have different rules for how beneficiaries access services, such as you must go to only doctors, facilities or suppliers that belong to the plan for non-emergency care. In addition to the Part B premium, Medicare Advantage plan enrollees usually pay a monthly premium for the plan. People who have Medicare Parts A & B are generally eligible for Medicare Advantage if they live in the service area of the plan they want to join. To find out more about Medicare Advantage plans, including when you can join a plan or change plans, visit www.medicare.gov or call 1-800-MEDICARE (800-633-4227 ). Medicare Part D is the prescription drug program available to all Medicare beneficiaries. Under Part D, beneficiaries choose a Prescription Drug Plan run by a private insurance company approved by Medicare. Note: Most Medicare Advantage plans offer prescription drug coverage so some beneficiaries with a Medicare Advantage plan may get drug coverage that way instead. Part D coverage is optional and you are not required to sign up for it. But, if you choose not to join a Medicare Prescription Drug Plan when you are first eligible, and you don't have other creditable prescription drug coverage, you may have to pay a late enrollment penalty if you decide to sign up in the future. [Note: Medicare Part B does not generally cover prescription drugs, aside from those administered by a physician and insulin used in an insulin pump]. Each Medicare Prescription Drug Plan has its own list of covered drugs (called a formulary). Many plans place drugs into different "tiers" on their formularies. Drugs in each tier have a different cost. Medicare drug plans cover insulin not used in an insulin pump and can cover other drugs necessary to treat diabetes. In addition to providing prescription drug coverage, Medicare Part D plans may cover supplies necessary to inject insulin, including syringes, needles, alcohol swabs and gauze. Check the formulary to see which drugs and supplies are covered by each plan and how much it will cost you to get them. Tip: Compare Part D plans to see how well they will serve your needs. You may wish to make a chart for yourself comparing what you will pay under each plan you are interested in. When choosing a Part D plan, make sure that the plan formulary includes all of the drugs you take (including your insulin and other diabetes medications) and the insulin injection supplies you need, and ask if there are any limits. Also make sure the pharmacies you like to use are included in the plan network. Most Medicare drug plans charge a monthly premium that varies by plan (separate from the Part B premium you may already be paying), plus some out-of-pocket expenses for your medications. Most drug plans also have a deductible that you must first pay before the plan begins to pay its share of covered drugs. When comparing plans, consider the cost of the deductible plus the cost of each drug you need, and ask if there are any limits. Compare Part D plans to find the plan that is right for you. Most Medicare drug plans have a coverage gap (also called a donut hole). This means after you and your drug plan have spent a certain amount for covered drugs, in 2018, you are responsible for paying 35% of the plan's cost for covered brand name prescription drugs and 44% of the cost for generic drugs while you are in the coverage gap. In 2019, you are responsible for paying 25% of the plan's cost for covered brand name prescription drugs and 37% of the cost for generic drugs while you are in the coverage gap. As a result of the Affordable Care Act, the coverage gap will be considered "closed" in 2020, and you will be responsible for only paying 25% of the plans's cost for covered brand name prescription drugs and generic drugs. In 2018, once you have spent a total of $5,000 out-of-pocket ($5,100 in 2019), you will come out of the coverage gap. This includes what's spent before and during the coverage gap. Once you are out of the coverage gap, you will automatically have "catastrophic coverage." This means you will only pay a small amount for covered drugs for the rest of the year. Contact Medicare or your prescription drug plan to learn more. For more information on Part D, call 1-800-MEDICARE (800-633-4227 ) or visit www.medicare.gov. Visit Medicare's Extra Help Program page, which helps people with limited income pay for prescription medications, or contact 1-800-MEDICARE (800-633-4227 ) to learn more about the Extra Help Program. A Medigap policy, sold by private insurance companies, can help pay some of the health care costs ("gaps") that Original Medicare doesn't cover, like copayments, coinsurance, or deductibles. Some Medigap policies also offer coverage for services that Original Medicare doesn't cover, like coverage for medical care when you travel outside the U.S.
Every Medigap policy must follow federal and state laws designed to protect you, and it must be clearly identified as "Medicare Supplement Insurance." Medigap plans have a monthly premium, in addition to the monthly premium you pay for Part B. For more information, including information on when you can buy a Medigap plan, call 1-800-MEDICARE (800-633-4227 ) or visit www.medicare.gov. Medicare provides information about Medigap plans on its website or you can call 1-800-MEDICARE (800-633-4227 ) to learn more about Medigap. You can also contact your state's department of insurance to get more information. Some people have Medicare and other health insurance or coverage, like retiree health insurance from a former employer or Medicaid. Visit www.medicare.gov or call 1-800-MEDICARE (800-633-4227 ) for more information on how different forms of insurance work with Medicare. Medicare Open Enrollment occurs every fall between October 15 and December 7. During this time, people with Medicare can review their current health care and prescription drug coverage options and can make changes to their Part D prescription drug plan, Medicare Advantage plan, or switch between Original Medicare with a stand-alone Part D plan and Medicare Advantage. Even if you are happy with your prescription drug plan, it is important to reexamine your Part D coverage each year during Fall Open Enrollment to make sure it still meets your needs, as plans typically change their costs and list of covered drugs (known as a formulary) at the start of each year. Call 1-800-MEDICARE (800-633-4227 ) or visit www.medicare.gov for more information. Medicare has a "plan finder" tool which allows you to search for and compare Medicare prescription drugs plans available to you. The Plan Finder tool is available on the Medicare website. Free health insurance counseling and personalized assistance for Medicare beneficiaries is available in every state through the State Health Insurance Assistance Program (SHIP). Call 1-800-MEDICARE (800-633-4227 ) or visit Casino free giftwww.shiptacenter.org to find the telephone number of the SHIP office closest to you. For more information on all of the options available under Medicare, visit: www.medicare.gov or call 1-800-MEDICARE (800-633-4227 ). Also look for the Medicare and You handbook which Medicare mails to beneficiaries in the fall and is available by calling 1-800-MEDICARE (800-633-4227 ). To read more about Medicare coverage of diabetes services and supplies, go to https://www.medicare.gov/Pubs/pdf/11022-Medicare-Diabetes-Coverage.pdf. For information from Medicare on how individuals might be able to get help paying Medicare costs visit www.medicare.gov/your-medicare-costs/help-paying-costs/get-help-paying-costs.html or call 1-800-MEDICARE (800-633-4227 ). Free health insurance counseling and personalized assistance for Medicare beneficiaries is available in every state through the State Health Insurance Assistance Program (SHIP). Call 1-800-MEDICARE (800-633-4227 ) or visit www.shiptacenter.org to find the telephone number of the SHIP office closest to you.